Are there any Haitians liging in Egypt? I know there are many Haitians who visit Egypt but I wonder if there are Haitians living in Egypt. 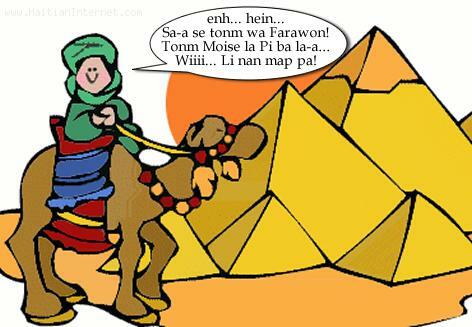 The only thing that keeps coming about Haitians in Egypt on the search engines is the story of the two Haitian-American tourists and their Egyptian guide who were kidnapped in Egypt's Sinai peninsula. What... You thought Haitians were only kidnapped in Haiti? Non monchè, Ejipsyen yon fè ti kidnapping pa you tou wi!